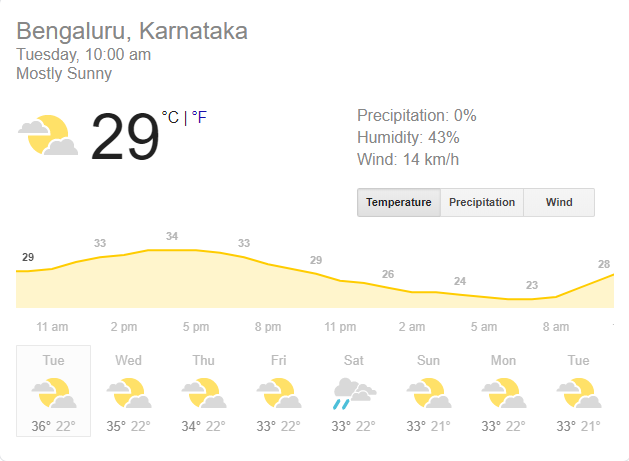 Bangalore News Live Updates: We bring you Highlights updates from Bangalore as you are on the go. Follow us to ensure you do not miss out on anything important during the day as you get busy with work and also stay updated with the latest Bangalore news, the Bangalore traffic update as well the now humid Bangalore weather. Public transport is likely to be affected till April 18 since the state-run bus corporations, including Karnataka State Road Transport Corporation (KSRTC) and Bangalore Metropolitan Transport Corporation (BMTC), deploying their buses for election duty. Second PU results are out, but IT City Bengaluru has not even managed to secure a place in the top five in the state’s pre-university results that were announced on Monday. Bengaluru South is in position eight with a pass percentage of 74.25, Bengaluru Rural has a pass percentage of 72.91, securing position 10 and Bengaluru North at 72.68 is ranked 11. 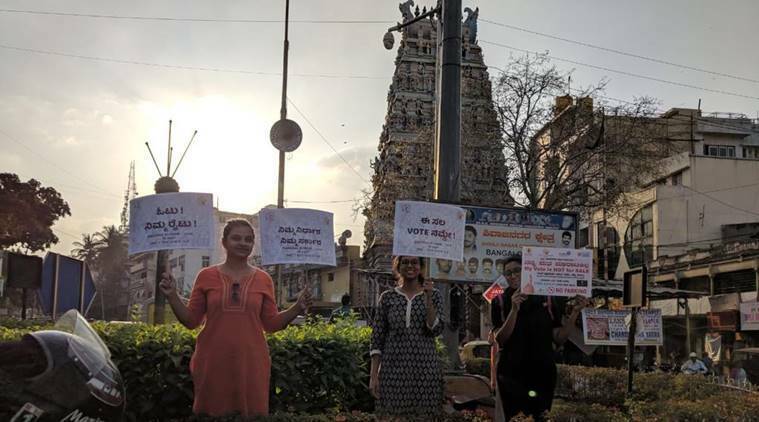 As Election campaign by political parties came to a close, B.PAC, a civic activist group, conducted election awareness campaign in and around Shivajinagar. All campaigning activities related to Lok Sabha elections 2019 in the city will see a conclusion at 6 pm. Bangalore goes to the polls on April 18. Results will be out on May 23. Bangalore Additional Director General of Police Bhaskar Rao IPS has called upon voters in the city to vote on April 18. The future is in your hands. Educate yourself properly and do vote ! Flying out from Bengaluru’s Kempegowda international airport(KIA) will be costlier by a massive 120% for both domestic and international passengers following the airport tariff regulator Airport Economic Regulatory Authority (AERA) allowing it to revise upwards the user development fee (UDF) for the next four months. Rizwan Arshad, Congress candidate for Bangalore Central constituency, releases vision document. "Provide access to clean drinking water" reads the first tweet. "Enhancing job creation" follows. The second issue of the State of Working India (SWI) 2019 Report will be released in Bangalore this evening. Published by Azim Premji University, the report will address the following questions: Why are job numbers controversial? What can be done to create good jobs? Can job creation go hand-in-hand with ecological restoration? How can fiscal policy support employment generation? Kempegowda International Airport Bengaluru will not serve alcohol from 6 pm today (April 16) to 11.59 pm on April 18.
all the outlets including Barley & Grapes, Windmills, Bar (Domestic), Hello Good Bye Bar, Bar 380, EAB Bar (International), La Alta Vita and PPL and AGL lounges (Domestic and International) at the #BLRAirport will not be serving alcohol. According to a recent tweet by the Bangalore Electric Supply Company Ltd. (BESCOM), power has been disrupted at Begur, Government Hospital Road and surrounding areas due to tree fall. Power supply expected to be back by 1 pm. Visiting IISc? You can pedal your way through from today. 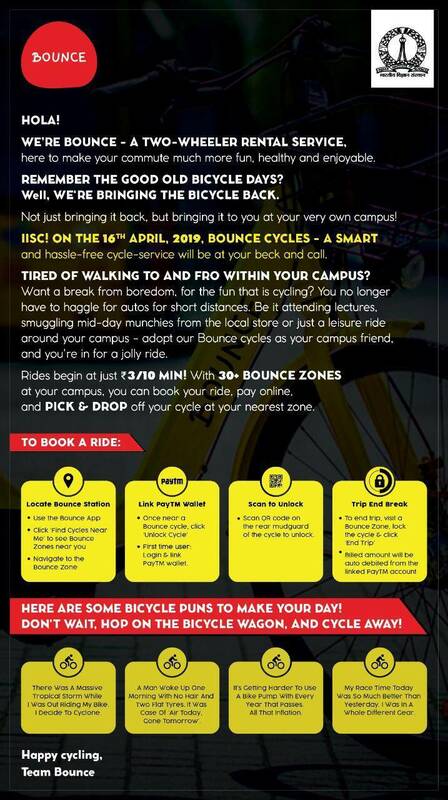 With bicycles available on rent from today, your journey through the Indian Institute of Science (IISc.) is just going to get better. Pedal through the lush green 400 acres of one among the most beautiful campuses in the country. Average Air Quality in Bengaluru is Moderate. At 9 am, PM 2.5 (Fine Particulate matter) is at an unhealthy level if you are near Silk Board or BTM Layout, while it is at moderate levels near the City Railway station and Jayanagar. A gram panchayat member was hacked to death by five miscreants on Monday evening in Machohalli, in Bengaluru. The victim is identified as Lakshminarayan (45)a resident of Machohalli colony. Lakshminarayan had recently joined BJP, after quitting the JD(S). White-topping to escalate traffic in Basavanagudi from today. The road from South End Circle to RV Road is closed due to concrete road work. For some students and parents alike, this morning is slightly lighter in the city as the Pre-University (PU) results were out yesterday. The Karnataka Department of Pre-University Education (DPUE). However, colleges in the city have a bit of catching up to do as the pass percentage of rural colleges in the state is 62.88%. The same for urban PU institutions is 61.38 Bengaluru South is in position eight with a pass percentage of 74.25, Bengaluru Rural has a pass percentage of 72.91, securing position 10 and Bengaluru North at 72.68 is ranked 11. Public transport in Bengaluru is likely to be hit till April 18. The state-run bus corporations, including Karnataka State Road Transport Corporation (KSRTC) and Bangalore Metropolitan Transport Corporation (BMTC), are deploying their buses for election duty and hence the number of buses plying on regular routes will see a dip. 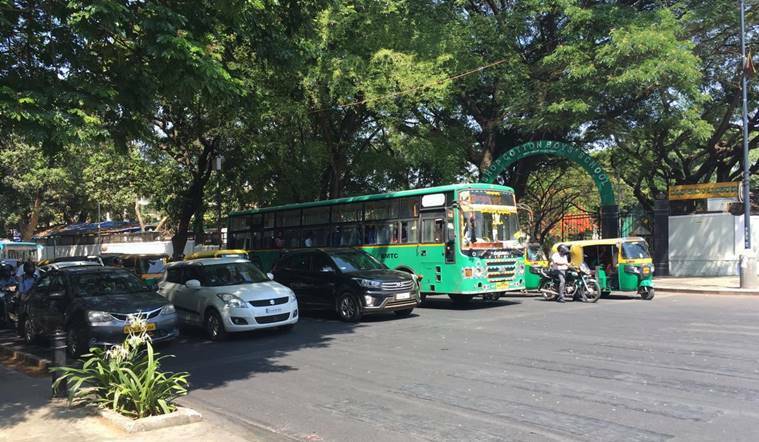 BMTC is deploying 1,702 of the total 6,650 buses, 3,314 of 8,705 KSRTC vehicles are used for the election duty. After the hike, the user development fee will be Rs 306 for domestic departures and Rs 1,226 for international departures.